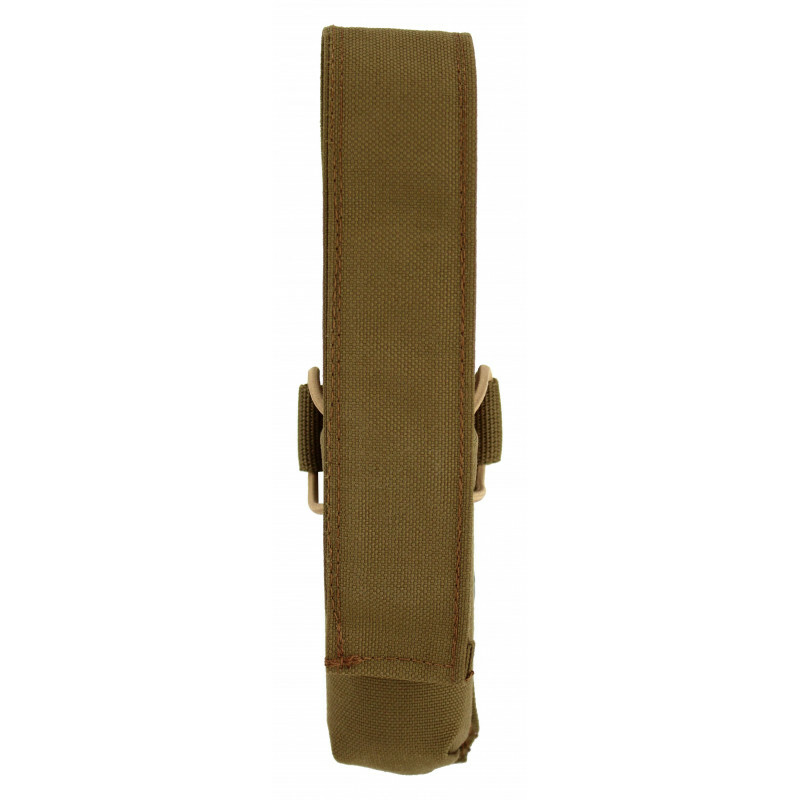 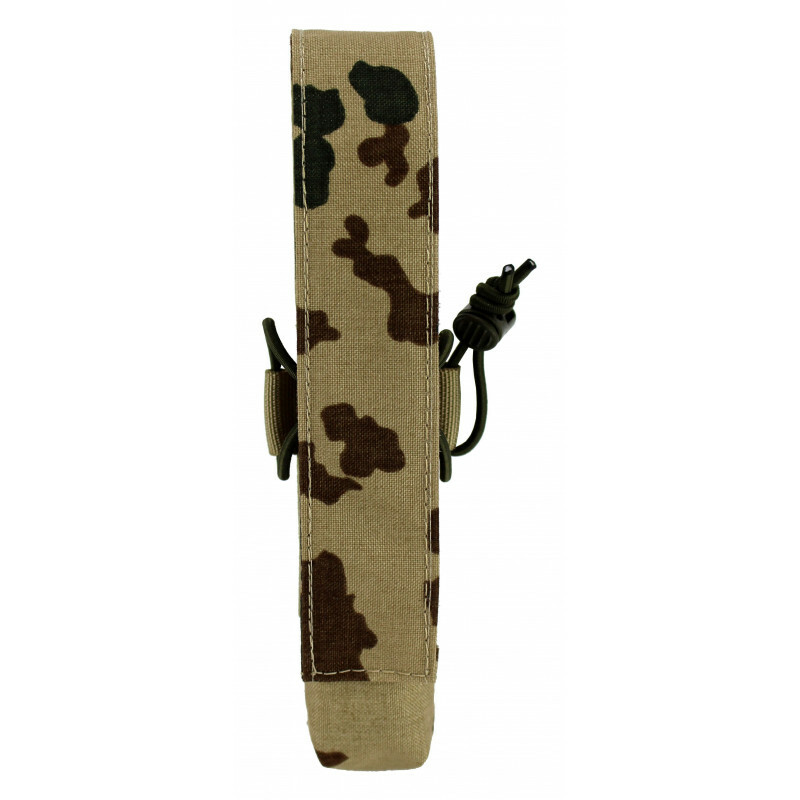 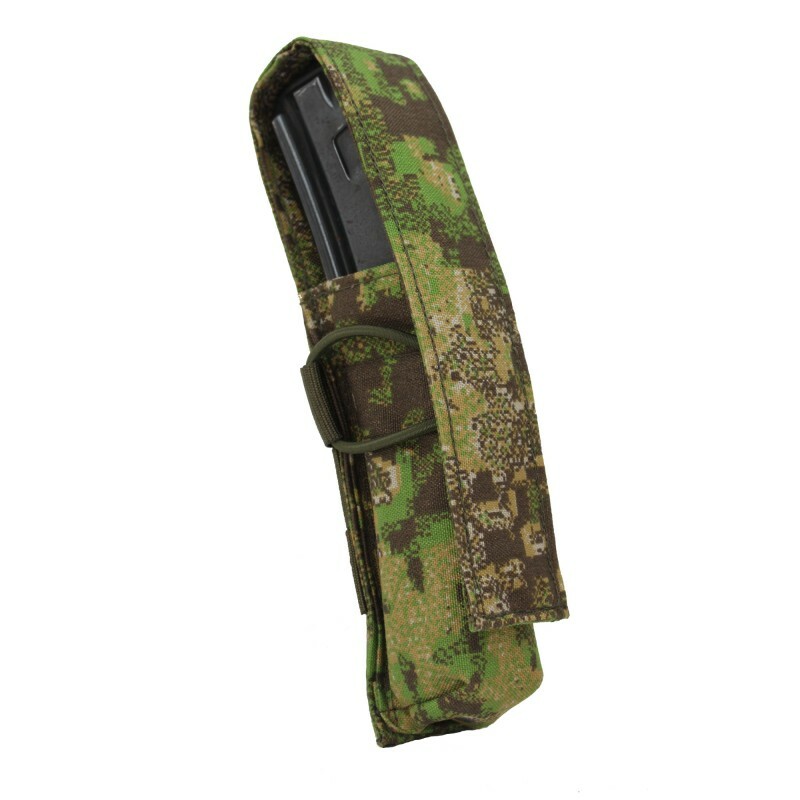 Magazine pouch for MP 5, MP 7, UZI, Mac or CZ Scorpion evo 3 machine gun magazines as well as for many others in caliber 9mm to 45 ACP. 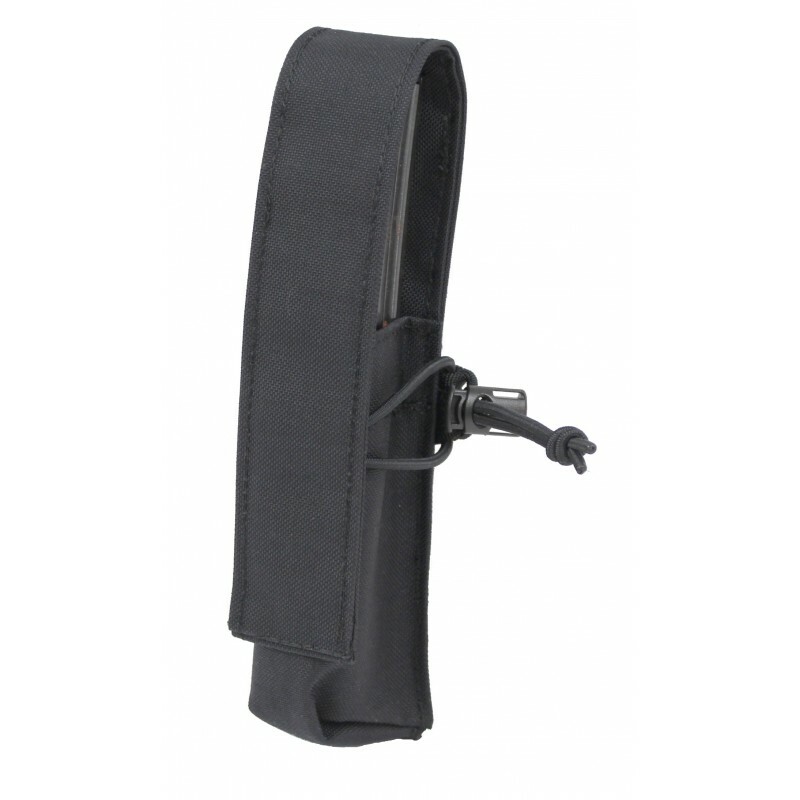 The contact pressure is adjusted via a rubber cord. 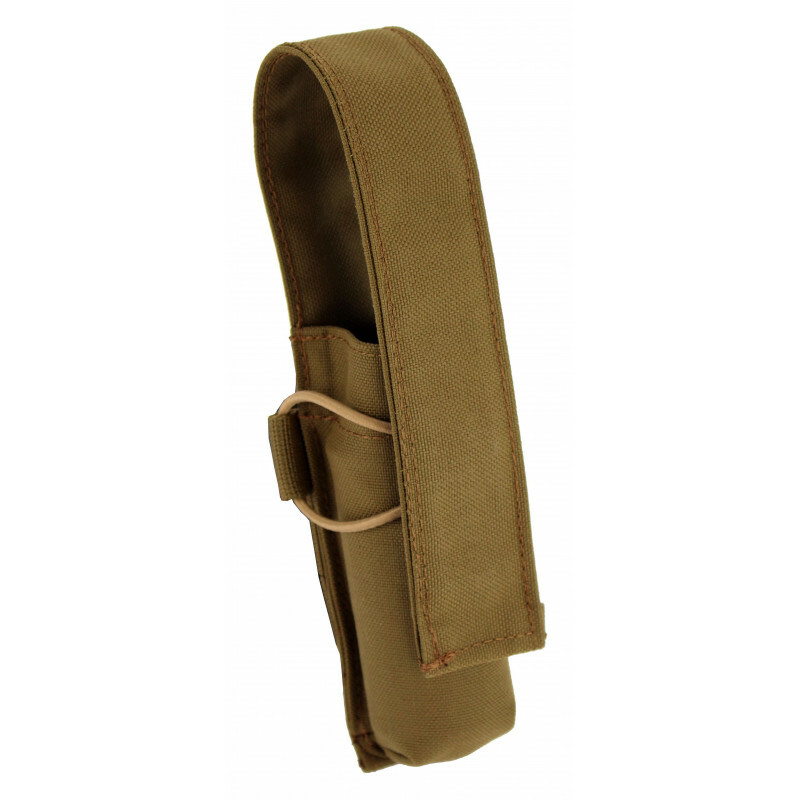 The flap is fixed with Velcro. 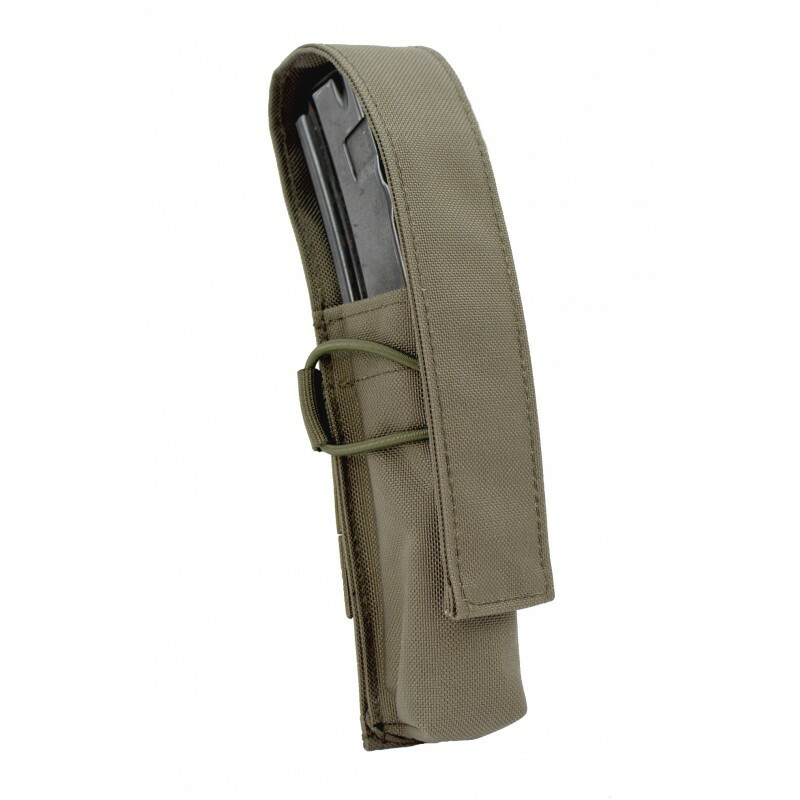 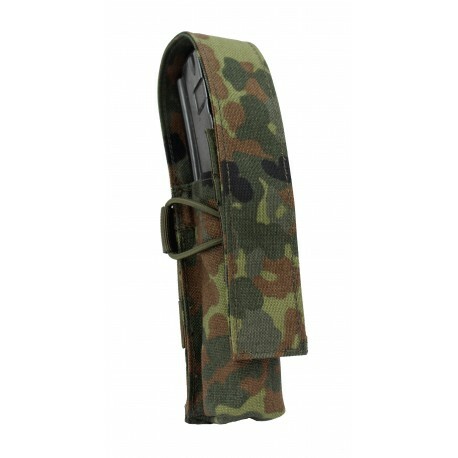 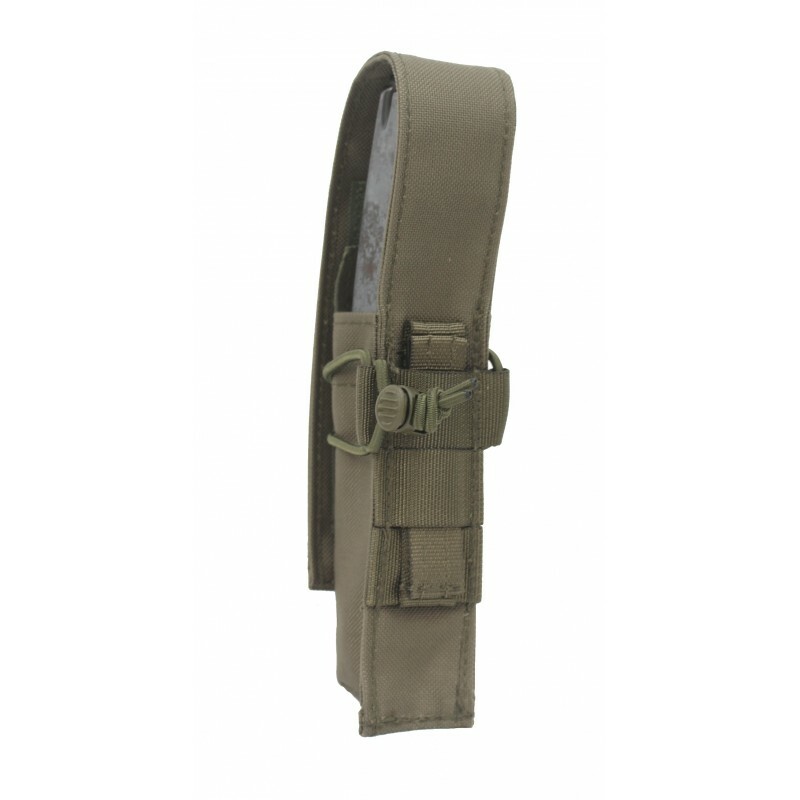 The MP Mag Pouch Multi is the „big brother“ of our tried and tested Pistol Mag Pouch Multi. 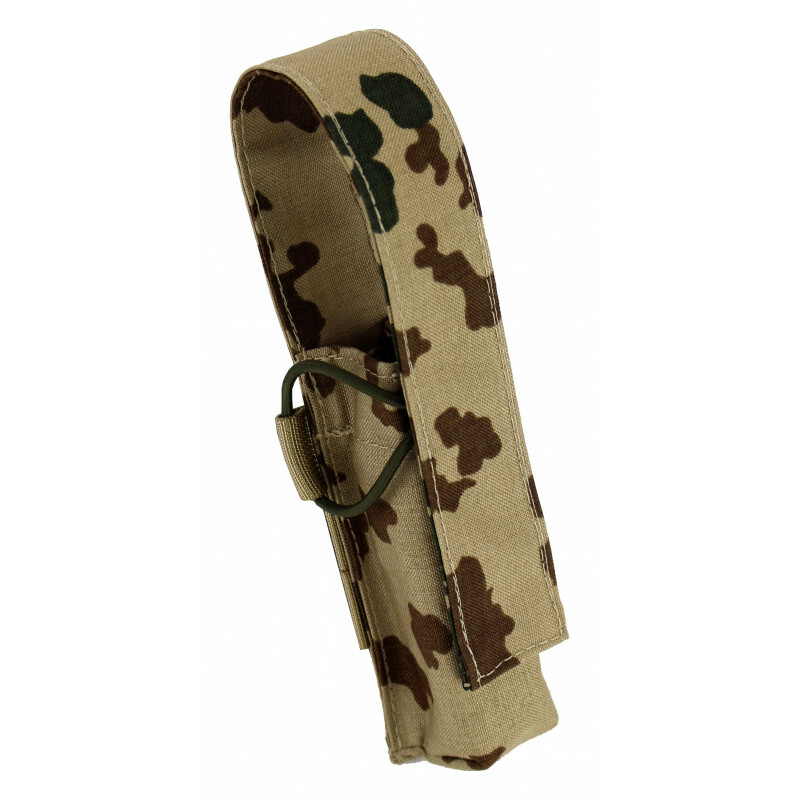 We have developed the MP Multi-purpose magazine bag specifically for MP5, MP 7, UZI, Mac or CZ Scorpion evo 3 machine pistol magazines as well as for many others in caliber 9mm to 45 ACP. 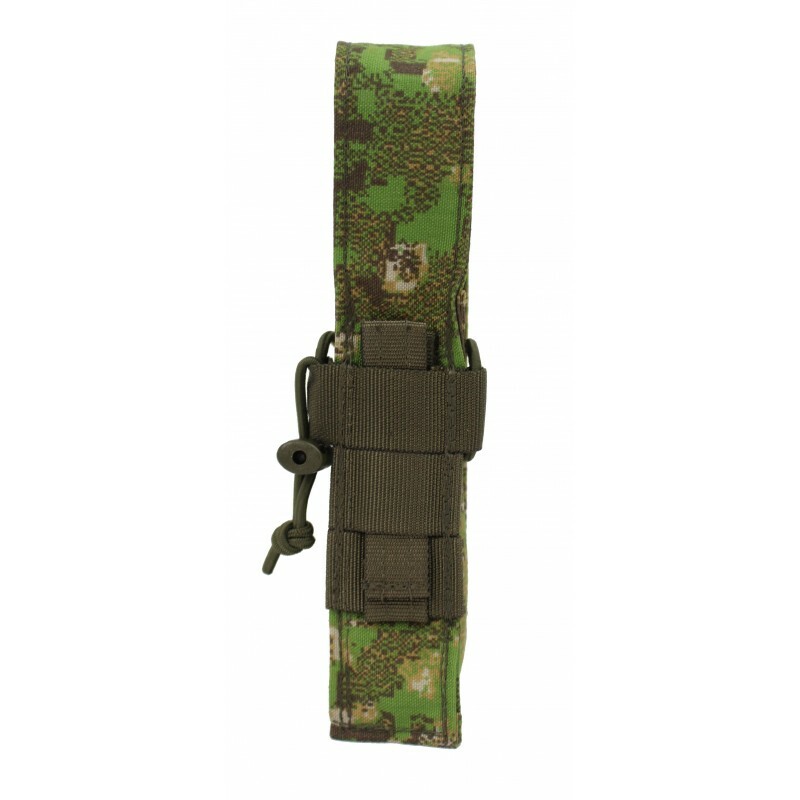 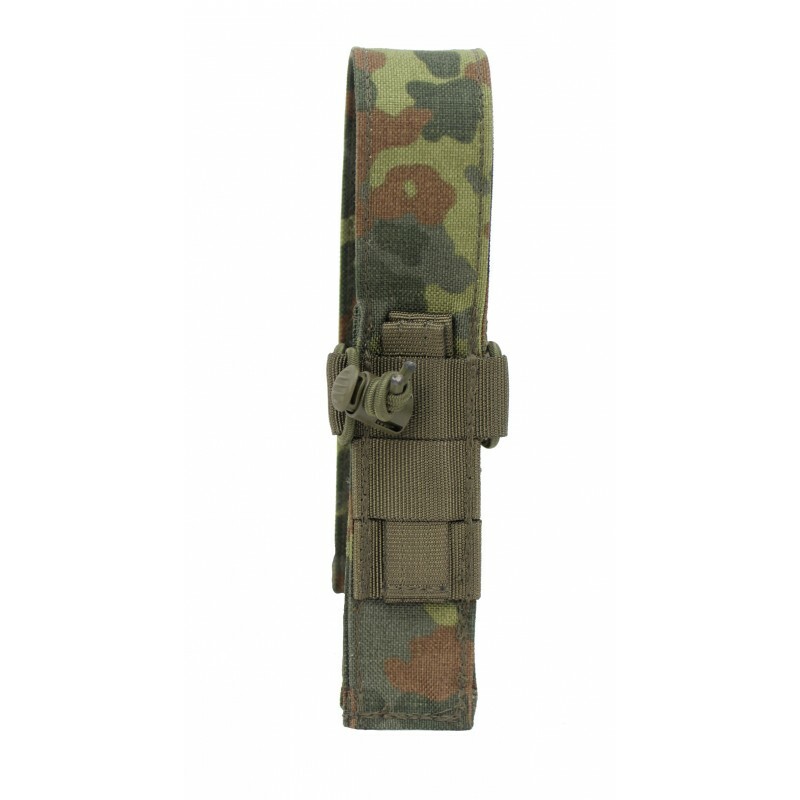 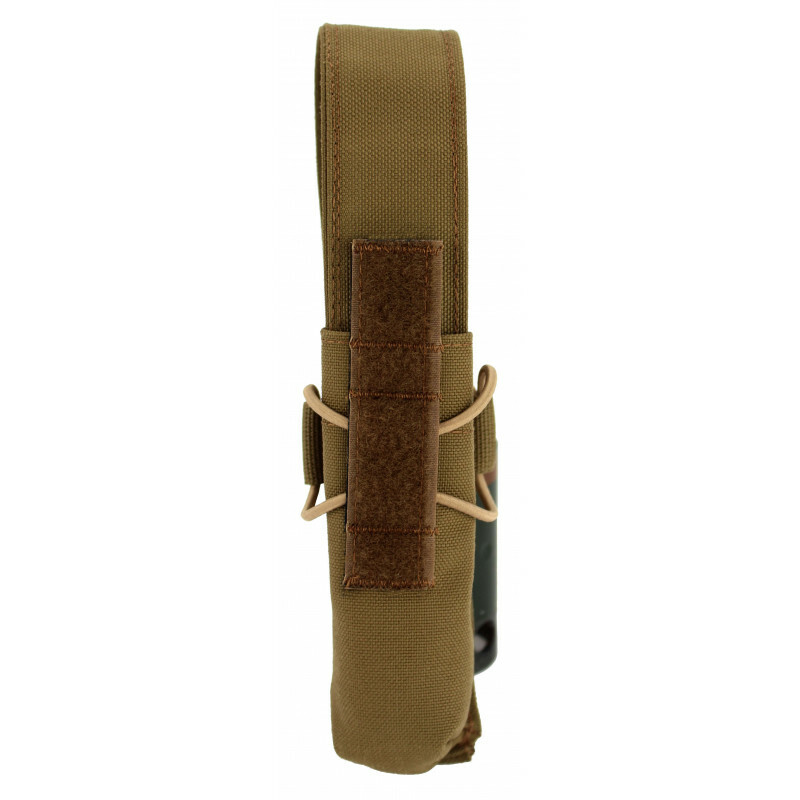 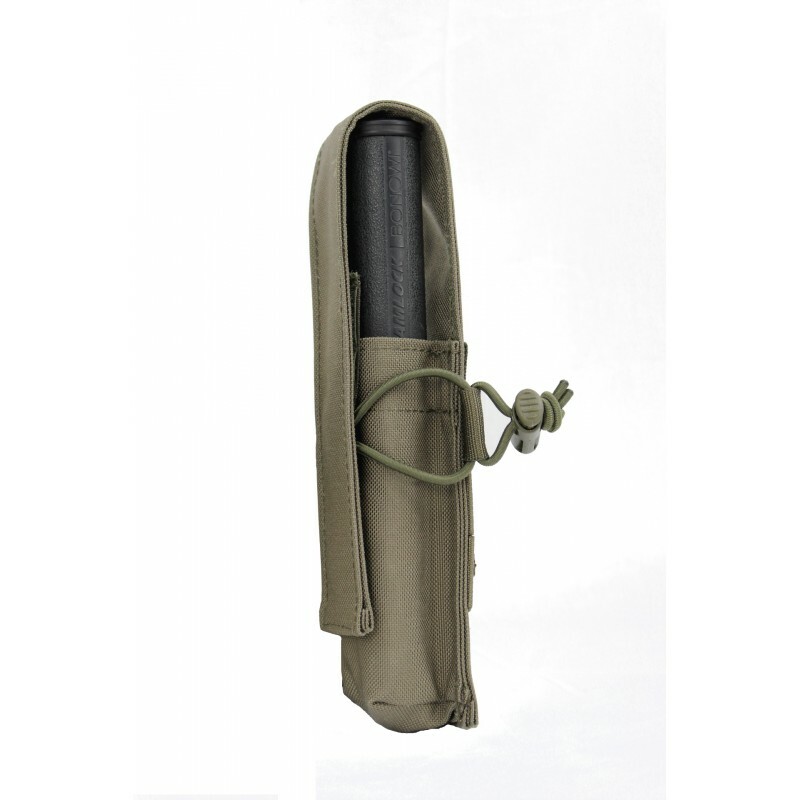 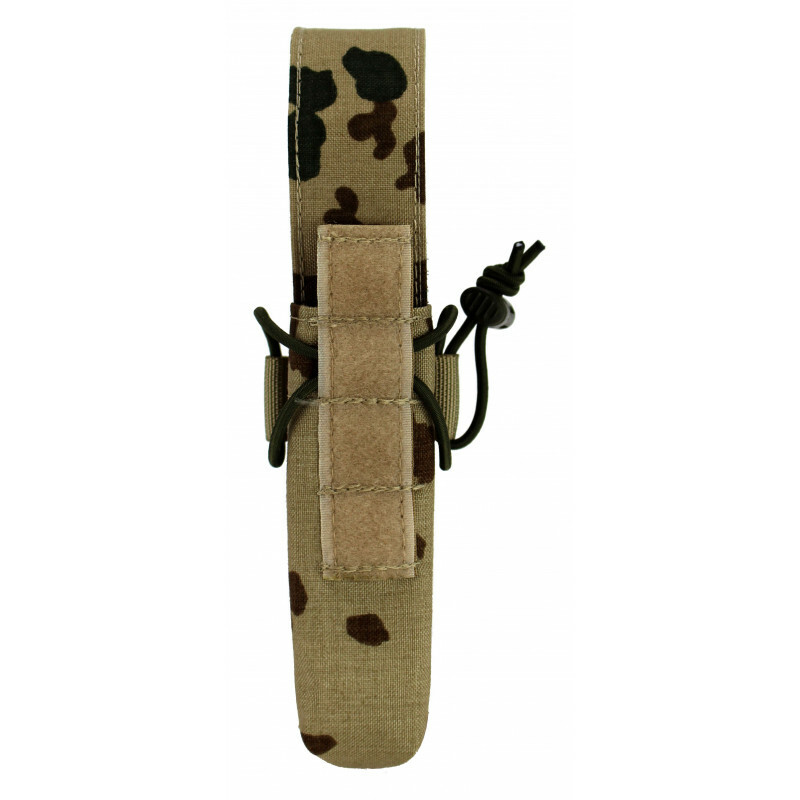 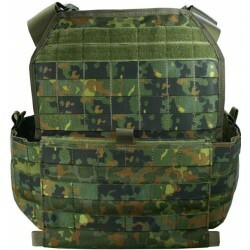 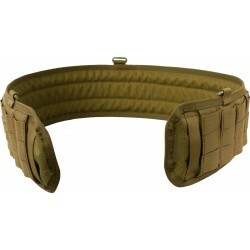 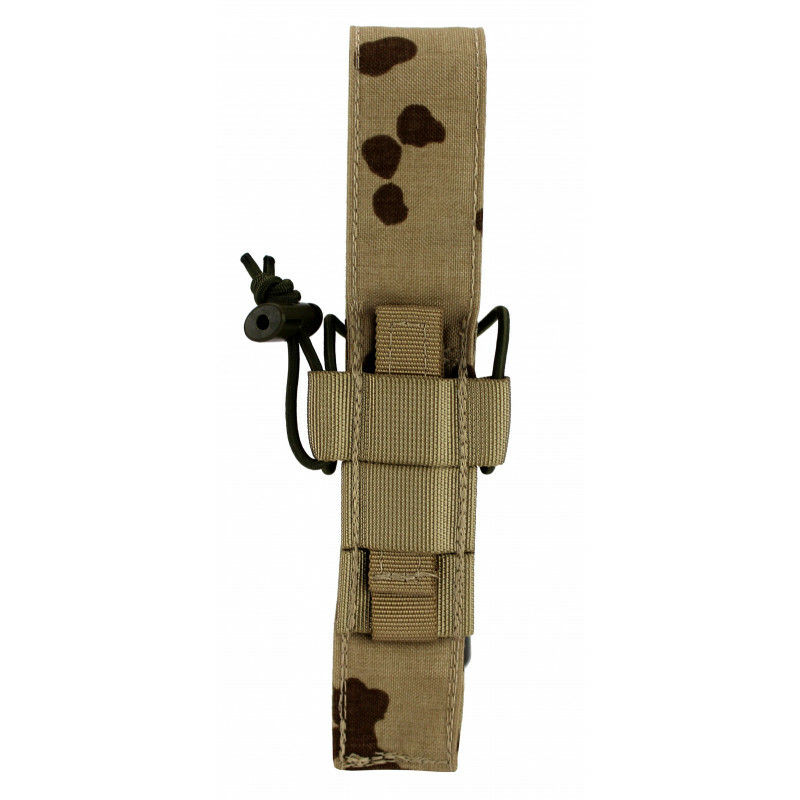 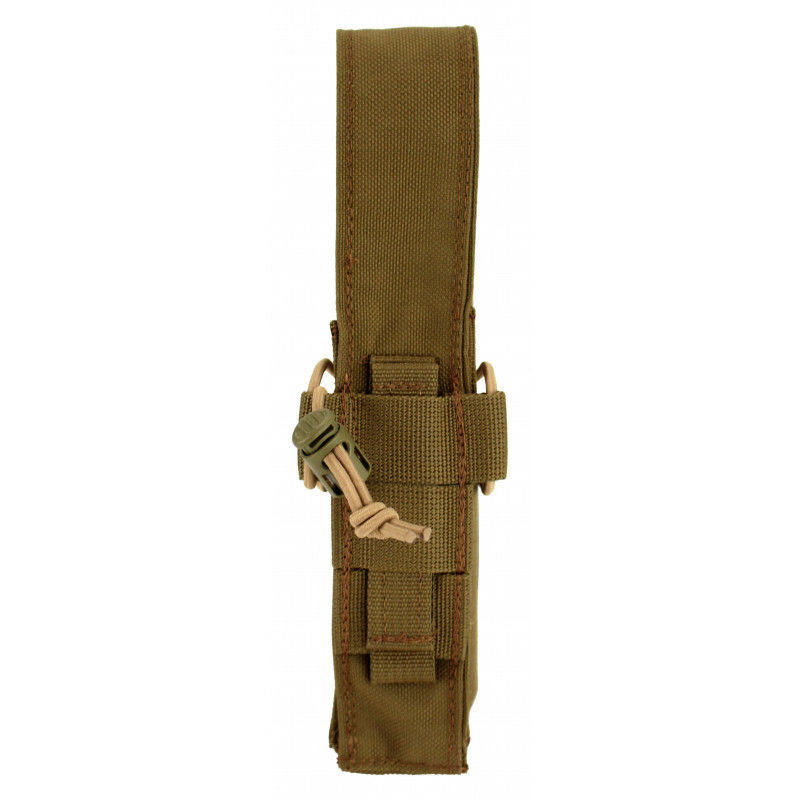 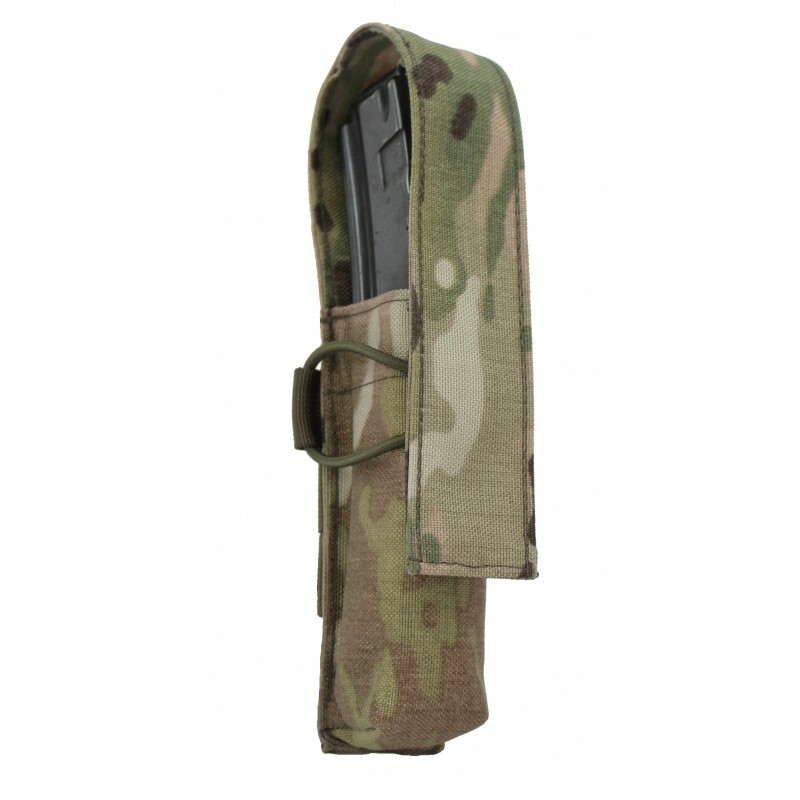 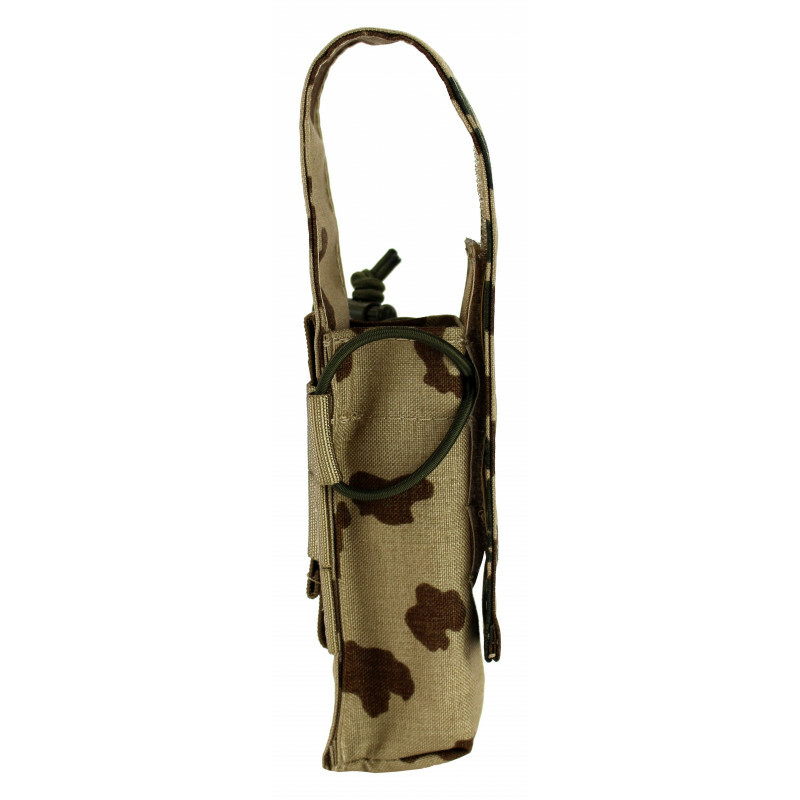 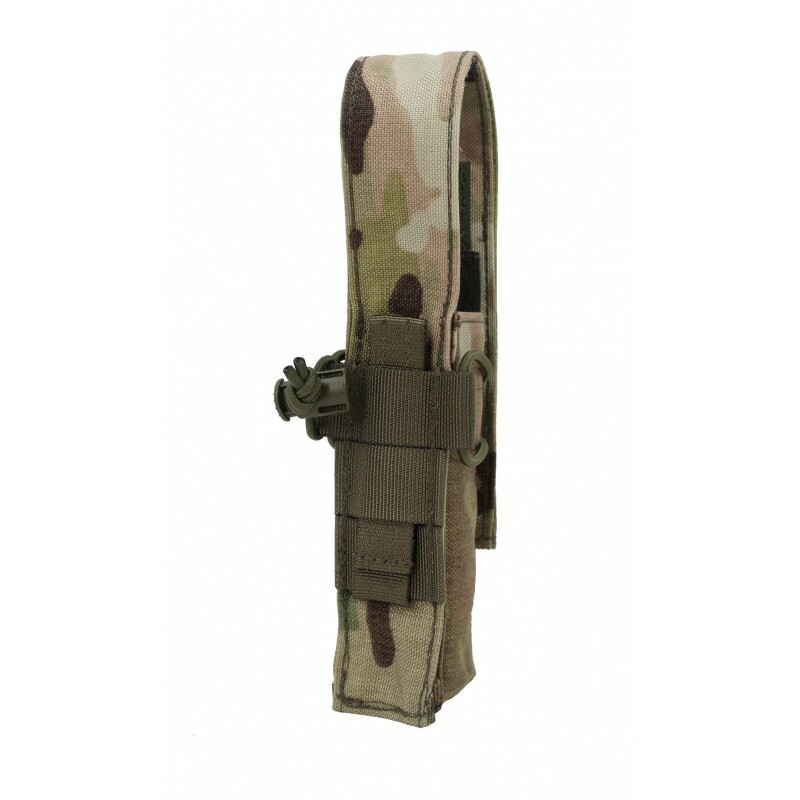 The pouch can be attached with our faststick system to all standard modular vests (also IDZ). 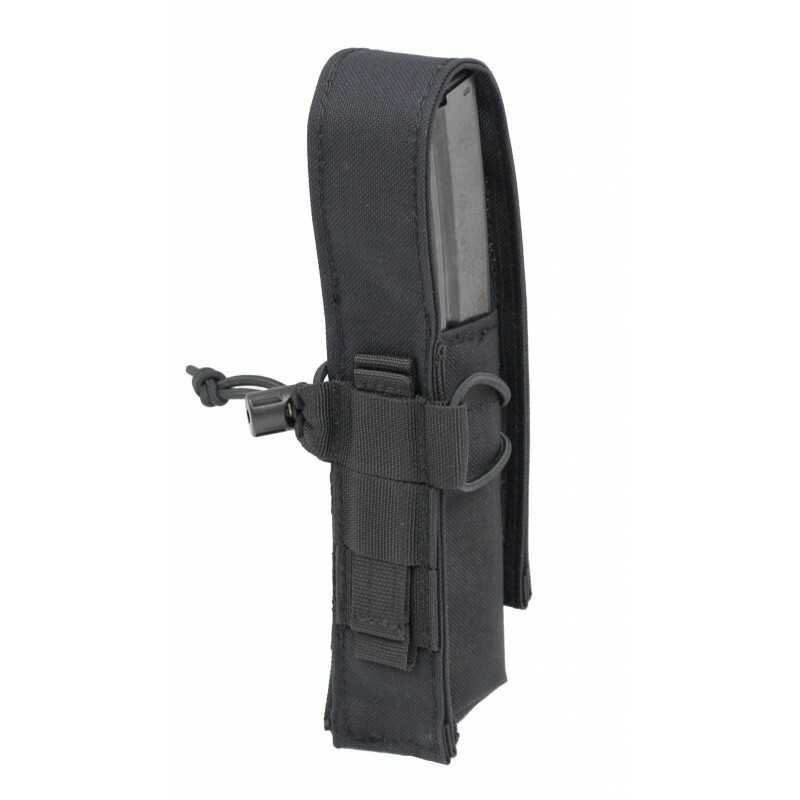 It can be closed with velcro and can be tightened with a rubber band, so that the magazine has a firm hold. 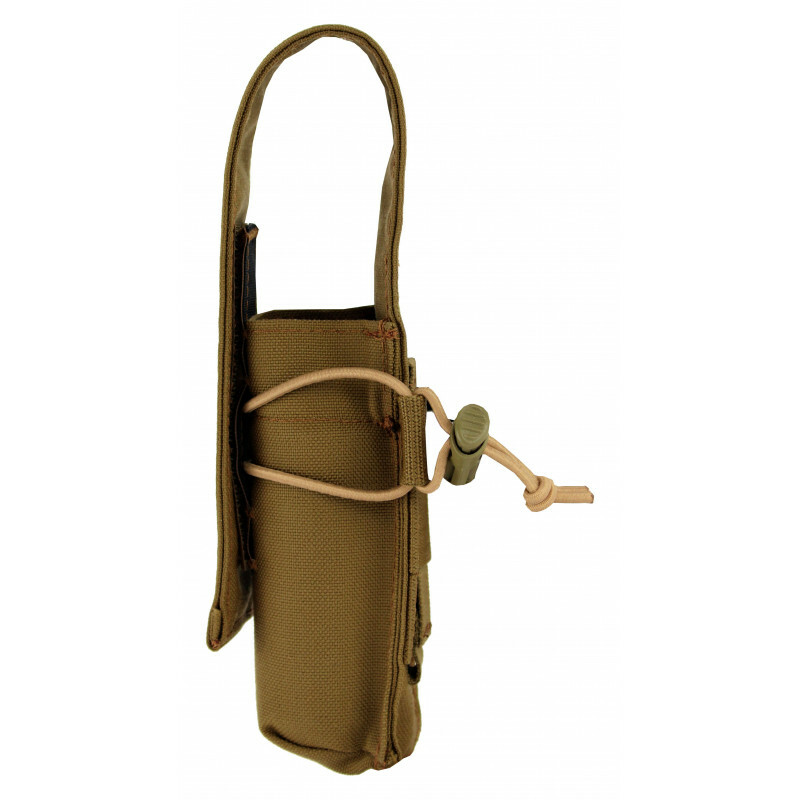 Other objects can also be stored in it, from the telescope baton over torches up to 40 mm grenades, this pouch holds all content safely.